The device is available either with a functional floor stand and/or an ergonomic table stand allowing flexible use in domestic and professional environments. Easily adjustable height and head inclination as well as the ability to rotate the device head up to 360° allow a convenient usage for nearly any position. Treatments can easily be timed by a control panel down to 30 seconds. An integrated distance rod ensures the recommended distance to the skin surface area. The table stand is additionally equipped with a dust cover and a comfortable supportive mat (disinfectable, exchangeable and washable). 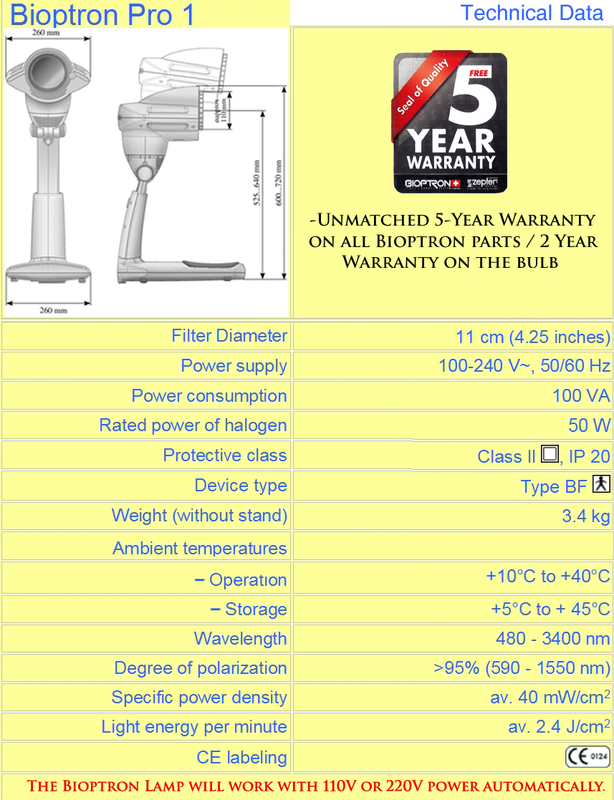 Introducing our NEW 5 YEAR Warranty!